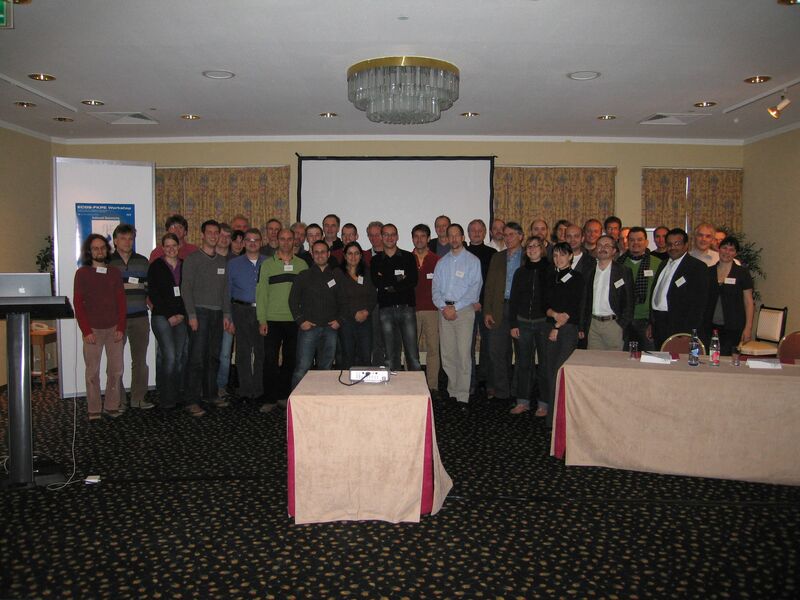 Thanks to all participants for their contributions, making the workshop a great success! Download the Scientific program as a PDF document. Download the List of accepted contributions as a PDF document. Download the Workshop poster as a PDF document. Induced seismicity deals with man-made ground shaking due to direct human intervention inside the Earth such as deep mining, water reservoirs etc. Earthquakes induced by geothermal exploration activities, sometimes called deep heat mining, stopped the multi-million EURO investments in Basel (Switzerland) and the Geysers (California). In southern Germany induced seismicity delays or may even stop geothermal power plants and poses a serious threat to future investments worth several 100 million EURO. Similar problems are known from different areas within Europe. Thus induced seismicity calls forth questions whether geothermal power production is an alternative to other energy sources, although geothermal energy is renewable, base-loadable and CO2 free. Induced seismicity is also reported from gas fields, mines and water reservoirs in Europe. The widely discussed storage of CO2 in the underground (CCS: carbon capture and storage technology), which means injection of fluids at depths of some kilometers, is also a future possible cause for induced seismic events. Thus the future energy supply is related to induced seismicity in several fields. On the other hand, some of the mechanisms related to man-made stress changes at depth are only poorly understood as well as the ambient physical conditions in the reservoir. Therefore we urgently need more data, physical theories and case studies to get a better handle on induced seismicity. The aim of the ECGS-FKPE Workshop on „Induced Seismicity“ is to bring together leading scientists that work in this field. In contrast to similar workshops on this theme, we want to bring together mainly academic researchers as well as representatives from state geological surveys or state earthquake monitoring agencies. A special volume of the Cahiers du Centre Européen de Géodynamique et de Séismologie will be published with extended abstracts (to be printed just before the meeting). The conference will be held at the Hilton Hotel in close proximitiy to the center of Luxembourg, the cosmopolitan capital of the Grand Duchy of Luxembourg and human-sized city. Luxembourg was a fortress city with reputation to be unseizable, strategically located between the French Kingdom and the German Empire. It was one of the major strongholds in Europe from the 16th Century through its dismantlement in 1867. Today, Luxembourg is well known as an international Financial Center and for hosting key institutions such as the European Parliament and the European Court of Justice. It is a dynamic and modern city, was European Capital of Culture for the second time in 2007, and is part of the World Heritage List of UNESCO. Enjoy its Old Quarters, fortifications, museums, exhibitions and more. Accommodation: On site (Hilton Hotel Luxembourg). Number of participants will be limited. In order to register for the workshop, please download the registration form here and send it back either by email to induced@ecgs.lu or by fax to +352 33.14.87.88. PLEASE NOTE: For participants presenting a talk or poster (and who’s abstract is accepted by the scientific committee following the submission deadline), ECGS will cover two nights (Monday – Wednesday, incl. breakfast) at the Hilton Hotel. Additional nights can be reserved for only 115 € per night. Any extras (phone, mini bar…) are at the charge of the participants. Participants are responsible for booking their accommodation in due time. A package of rooms is available at the Hilton Hotel and the reservation of these can be made online here. Details on how to find the hotel are provided in the PDF version of the second circular, downloadable from this webpage. You may pay the registration fee by credit card (Visa and Mastercard) or by bank transfer. The details are provided on the registration form. Sessions will be composed of one or two keynote lecture(s) (30min+10min discussion) followed by talks of 15min+5min discussion. Authors who present a poster will be given 3min (one slide only) for the presentation of their posters in a dedicated session. Posters will be displayed during the entire workshop. For smooth transitions, speakers are requested to upload their presentation on the organization computer at least during the break before the session. For poster presentations: the maximum dimensions are 95 x 210 cm, Portrait orientation. Mounting material will be supplied at the conference. Required for program selection. Conference volume will be distributed at workshop registration. The abstract volume will be included in the Special Volume of the Cahiers Bleus and will be distributed at the workshop registration. Due:	September 13, 2010 by e-mail to induced@ecgs.lu. Length: maximum 2 pages including figures. The proceedings of the conference will be published in the “Cahiers du Centre Européen de Géodynamique et de Séismologie”. The contributions will be requested prior to the meeting (deadline October 1, 2010!) to enable us to distribute the proceedings volume at the meeting. For previous volumes, see http://www.ecgs.lu/cahiers-bleus. Contributions submitted should not exceed 5 pages. Color figures will be printed at no charge. One volume will be provided to every participant at no additional charge. A template doc file with the requested format for the Cahiers Bleus contributions can be downloaded here. Visa: A visa is required for all non-EU member state residents. Please contact the Luxembourg embassy or consulate in your country for more detailed information. If you need an invitation letter from the Local Organizing Committee in order to obtain your visa, please specify it in the registration form. Weather:The Grand Duchy of Luxembourg enjoys a temperate climate without extremes. Average daily temperature is about 8°C in November and average temperature at night is around 2 °C although freezing is not unusual. Rain is frequent with an average of 60mm in 12 days in November. Currency: Euro (€) (Banks are usually open between 9 a.m. and 5 p.m.). Electricity: 220V, 50Hz. (European plug with two circular metal pins). Download the second circular as PDF document here.